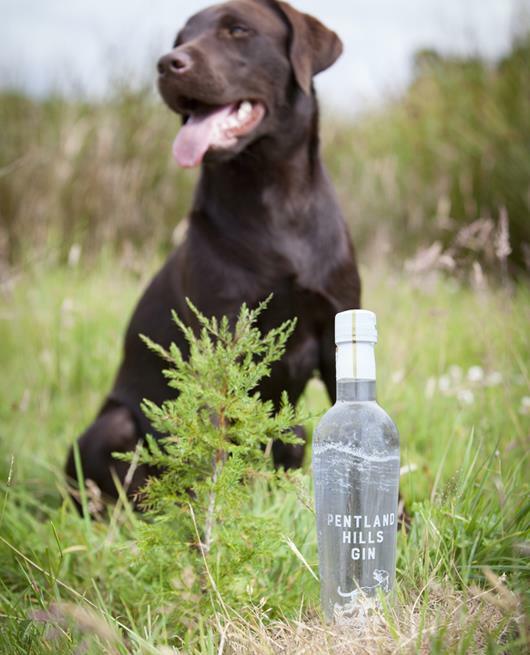 Our gin distillation is based upon sustainability, what we take we give back and it's taste reflects the environment in which it has been developed and created. Where we can we will grow our own botanicals, we will use water that rises on our land and power the systems that we use through our solar and other renewable power supplies. Our chosen botanicals, juniper, coriander, cardamom, pink pepper and angelica are all currently, having to come from across Europe and the rest of the world. However, we have sustainable mint and are looking forward to establishing as many of the other ingredients as soon as we can. The amount of juniper trees to be found in Scotland has been reducing over time and since 2015 has been struck by a pathogen which often causes the death of the tree. We have begun to replant our land with juniper trees with the aim to provide a sustainable supply of juniper berries to go into our gin. Our aim is to use, or reuse much of the gin making material as possible, for example the tails of the distillation process is used to make soap. We also intend to offer a service where you can return your empty etched bottle to us (along with the packaging) and we will return it to you refilled with our gin!